The new Barr & Stroud ‘Savannah’ range of binoculars are a blend of superb optical quality, advanced mechanical design and rugged refinement that has produced an elegant range of binoculars that take the Barr & Stroud brand to yet another new level of performance and sophistication. The Barr & Stroud ‘Savannah’ 12x56 is the in the range for those with a very steady hand and a need for greatest magnification that can be practically hand held. 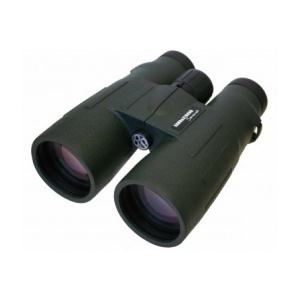 If that is top of your priority list then the 12x56 is the sort of powerful binocular you are looking for. Don’t expect it to provide super bright images in very low light, but do expect it to bring you close up to the action where the power of the 12x magnification excels, and still give you sharp contrast rich images under normal daylight conditions that it’s 56mm aperture objective lenses will provide. The ‘Savannah’ 12x56 are supplied with carrying case, rain guards, tethered lens caps, deluxe strap and lens cleaning cloth. Distance - 56mm~74mm Range of eye adjustment in mm.